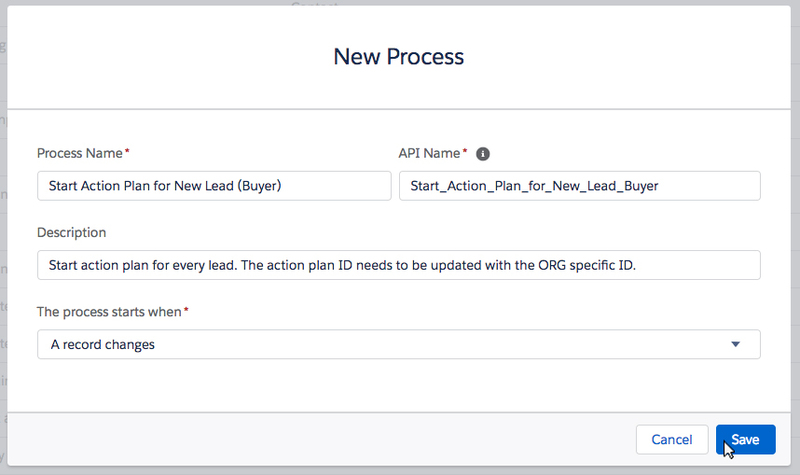 With Propertybase, you can build automations that happen anytime a specific action takes place. 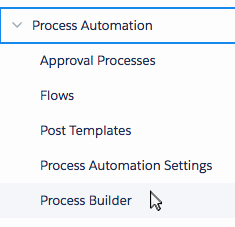 Automations like this are created using process builder. In this article we'll walk through the steps necessary to create this type of automation. Note: Propertybase accounts created after 1.471 have this process preinstalled and simply need to enable it. 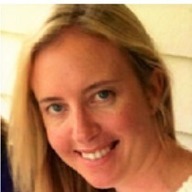 Make sure you can add the Action Plan manually before creating the Process. This will save you time if there are errors on your Action Plan. 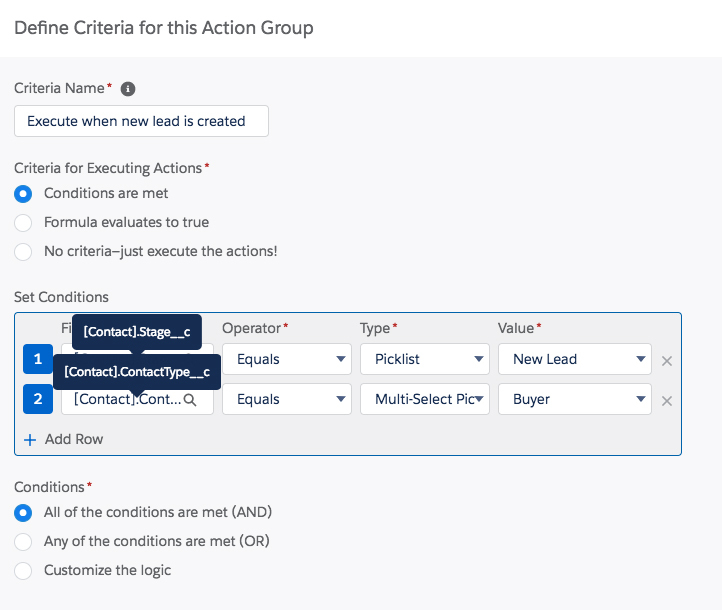 In this example, we will build a process that automatically starts a new Action Plan when a new Contact record is created. Note: the steps are very much the same for Action plans on other objects, but you must relate it to the corresponding object. We point that out further down here. To get started, open the process builder. 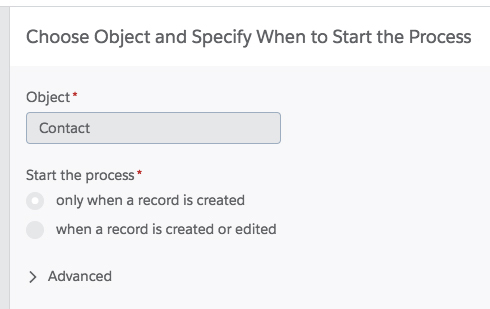 Select Contact for Object (or the object you are planning to start the Action Plan on) and select only when a record is created for process start. Enter details for the New Criteria based on the image below. Note: if you are building this for a different object than contact or other situation, the criteria will be different and needs to reflect your criteria. 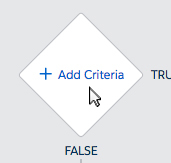 To the right of the new criteria, click Add Action. Enter details for the action based on the image below. Note: this again is related to our example based on "Contact". 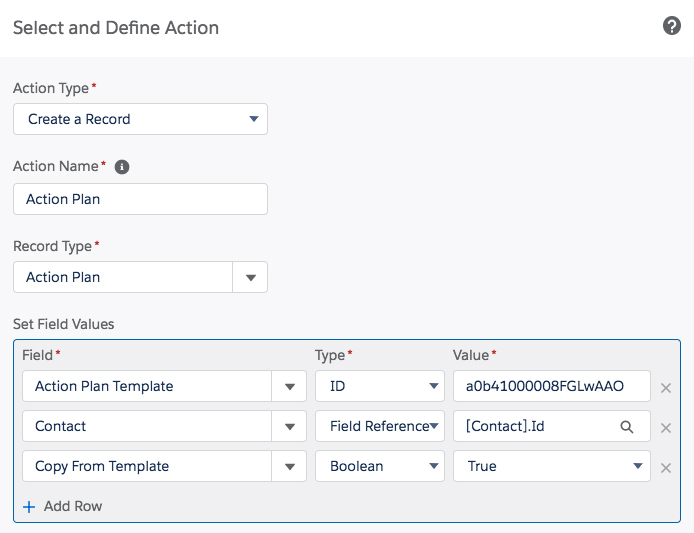 Should you be building this on another object, please find the corresponding object to relate to where it says "Contact" in the field column and relate it to the record ID. *If you have upgraded from an older version and you are not seeing the Copy From Template field, you are using the wrong Action Plan object. As there is a newer revamped Action Plan object. That's it! 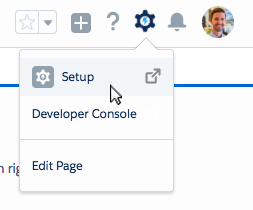 You have successfully built a new automation with process builder.